Maker Faire Africa 2009 is over and it’s time for me to give a short résumé. 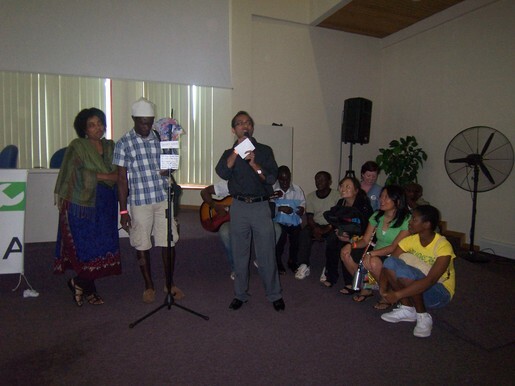 The story that impressed me the most was William Kamkwamba from Malawi – “The boy who harnessed the wind“. He built a windmill from material he found at the scrap yard just by looking at diagrams at the local library. Although people in his community considered him as crazy he kept going and is now able to power his family’s house, a water pump and some other services with the electricity created. Furthermore he teaches other people how to build windmills. His talk was quite impressive as he seems to be a very shy guy and talked very silently, but with a self-assurence as if it would be the most natural thing what he did. Really remarkable. Another fascinating story was the one of Johannes, a maker who assembled furniture from plastic bottles and founded a company called Planiture or Planish, didn’t quite understand that. 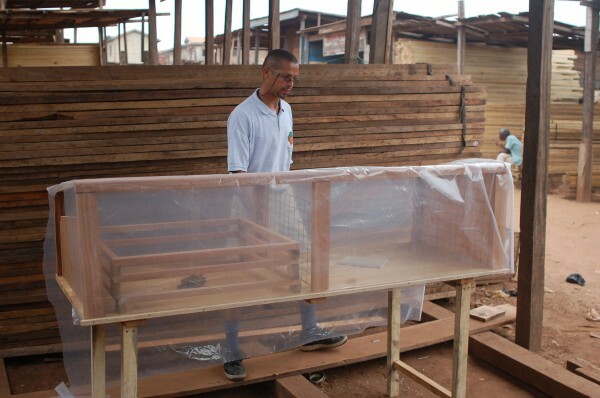 His motivation was that he had moved in a totally empty apartment in Kumasi and thought of ways to create inexpensive furniture. After a while he came up with plastic bottles as frame and leather cover. Due to his words most people who see the pieces just say “wow” – and indeed that’s how I felt as well when looking at them. They are really comfortable, too. 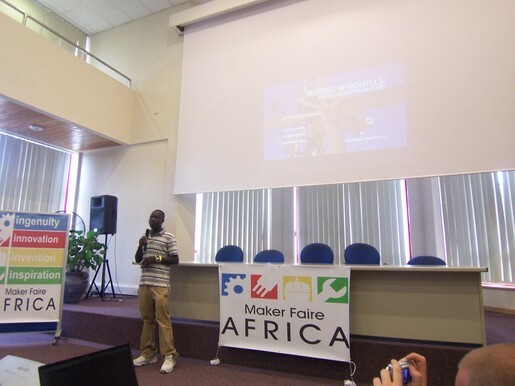 Another maker with whom I spent a great deal talking about his products and in the following also about Africa’s current state was Dominic Wanjihia from Kenya. He presented two products, both of which aimed at extend the life-span of food. One was an evaporative cooler, another one a food dryer based on sunlight. His motivation for those pieces were that in Africa obviously 60-80% of the food goes bad due to insufficient storage and refridgerating solutions – new information for me. The atmosphere of all three days was very relaxed and friendly – but at times also tense and inspiring. Everybody was up for a little chat and willing to share his story. The good weather and openness of the venue contributed to the good spirit. Furthermore the story of the makers were really stimulating and there was a feeling of positive uprising in the air. People denounced the problems of Africa – but also offered simple solutions and ingenious ideas. Everybody was motivated and significant improvement of the continent’s state seemed possible this weekend. 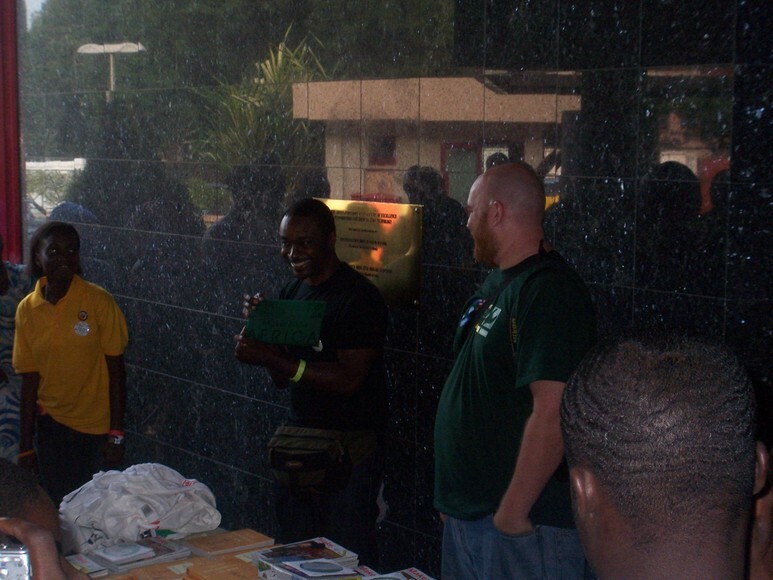 Advanced Information Technology Institute – AITI and generally Accra was a really cool place for Maker Faire. 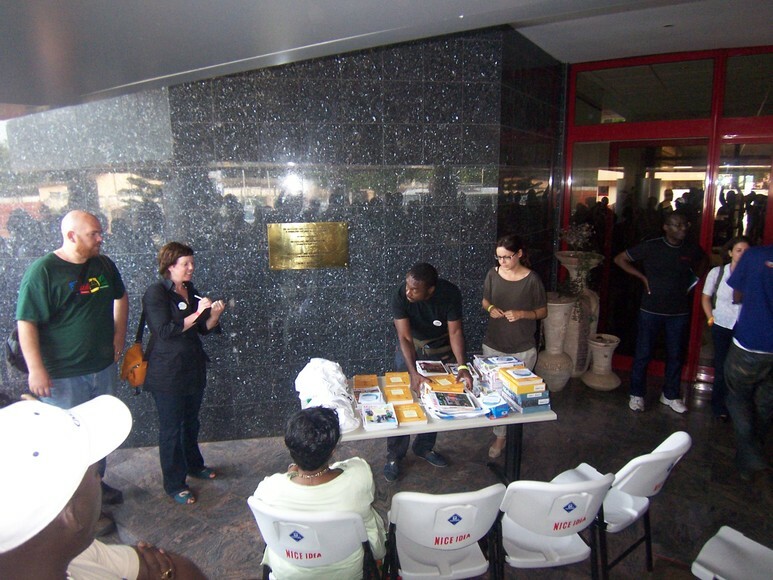 AITI offered great internet connectivity for everybody to share the event online – and judging by tweets, really many people internationally followed it. The seperation with inside – workshop and sessions, outside – showing of devices was good and invited many visitors to stay and commute between inside and outside. Furthermore – music was great and thanks for the food! Accra provided nice venues for a drink afterwards, only the traffic was quite annoying. Several organizations took part in Maker Faire, two of which impressed me quite a lot. Inveneo is an organization based in California and specialises on the creation and sale of apropriate technology. The showcased devices – computers, servers, routers, … – were really impressive. Compact and robust, they reduce energy consumption by a large amount. Additionally Inveneo offers batteries which can be solar-powered to eliminate the problem of power cuts. 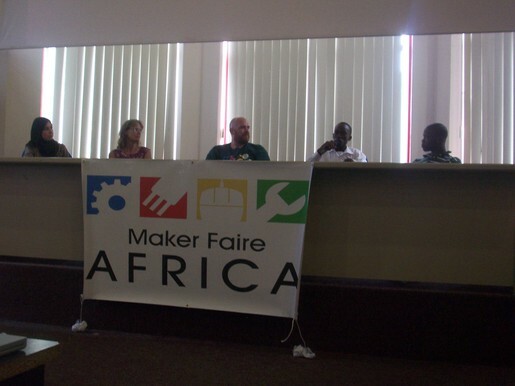 Butterfly Works, a Durch organization helped organize Maker Faire and presented several projects – including Naitobits, the original program which inspired Zanzibits, amongst others. One cool project they did during Maker Faire was called “Match a Maker” – aiming at connecting people having problems in “making things” with people offering solutions all over the world. The project was actually initiated right there at Maker Faire, I hope it will be online soon. Some small remarks to the organization: as the planned schedule was quite strict and didn’t consider the existence of a second presentation room, the schedule was changed several times which led to some confusion and to some skipped sessions. By offering a schedule with more empty spaces and a possibility for parallel sessions this could be solved. 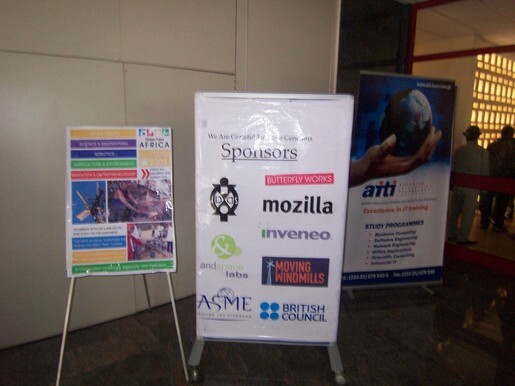 Overall, the whole event was great – lots of interesting people and projects, fascinating devices, insightful talks. See you next year in Nairobi! 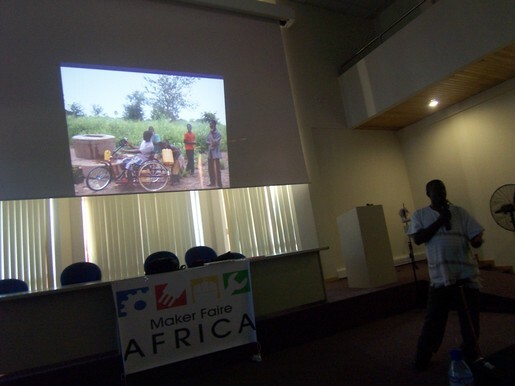 the Maker Faire Africa Aggregator on Maneno and the Maker Faire Africa FlickR group. Notes from the Maker Faire Africa 2009 in Accra, Ghana from Friday 14th to Sunday 16th August. Follow the MFA09 aggregator on Maneno. What is happening after Maker Faire? Where do web developers in Ghana host websites? What about only designing websites for only Africa and not caring about the rest? Hello Africa – where can you get it? Due to some requests at Maker Faire Africa this weekend, I want to put up the links to download our documentary on mobile phone culture in Zanzibar “Hello Africa” once more. Hello Africa from UZI MAGAZINE on Vimeo. All material is published under a Creative Commons license (CC-BY-NC-SA). More info at uzi.se and ict4d.at/helloafrica. How long will the battery last using a light? How many bottles would a house need and how long would it take? Where does the material come from? 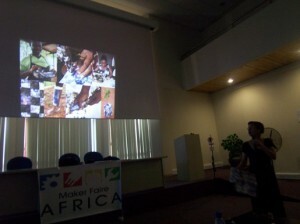 Some impressions from Saturday – makers showing their products. 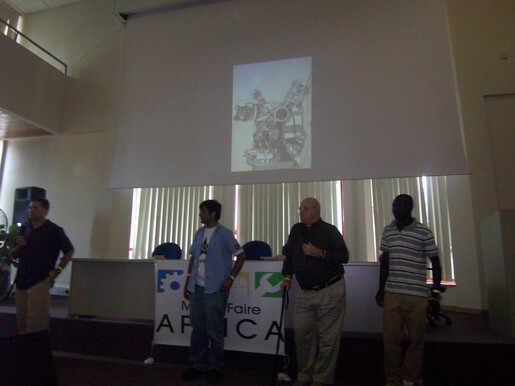 Panel: African Invention – what drives innovation on the continent? Is this being disseminated and how? How about releasing the designs – when you actually want to make profit? Where do the things come from? How was working with the community? William: what were the difficulties with the first prototype? IDDS team: where is everything documented? William: things that didn’t work and had to be redone? William: what are the costs for a windmill and how many people does it serve? 5 water sachets -> build something from it! 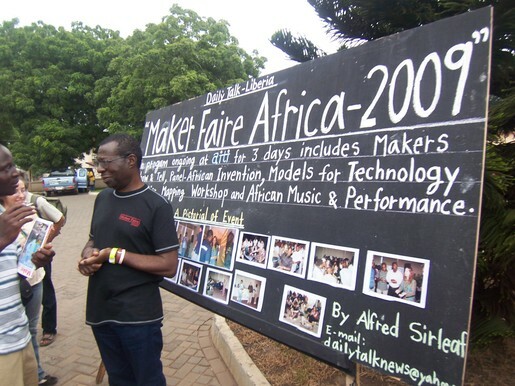 This weekend in Accra the Maker Faire Africa will take place. and countless interesting and innovative people and groups will attend. 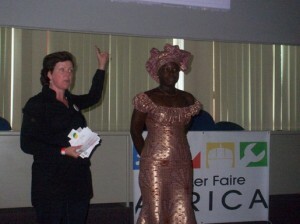 ICT4D.at will also take part and I will screen our movie Hello Africa there. Of course I’ll also write some blog posts. 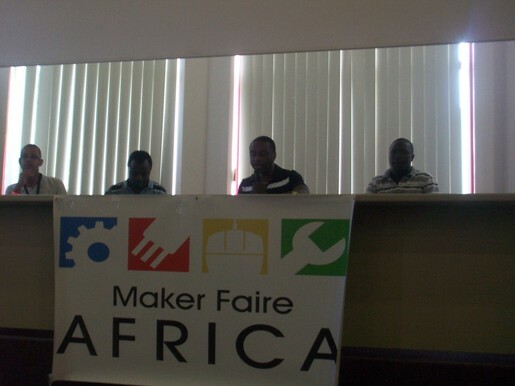 The people from International Development Design Summit will show their prototypes once more and for more detailed information what will be going in look at the Program of Maker Faire Africa or check out the Blog of Maker Faire Africa. 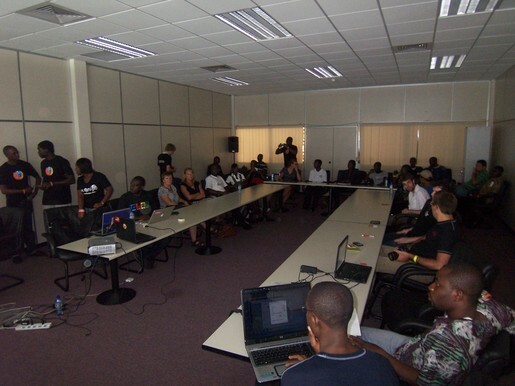 So if you’re in the area – make sure to be there, it will definitely be great and probably even THE African tech event of the year. On Maneno, there is an aggregator on the Maker Faire hashtag “mfa09”. Check it out to stay updated.